Madison College’s Adam Anhold (32) tries to block the shot of a Sauk Valley Community College opponent during a men’s basketball game on Nov. 14. College basketball is back. The season has just begun, and Madison College’s men basketball team has already played five games. Coach Jamal Palmer’s team has faced five different teams on four away games and one at home. The WolfPack is now 2-3 (1-2 away, 0-1 neutral, 1-0 home). Although they have struggled with turnovers and shooting, they were able to keep hopes of victory alive in almost every game until the final moments through determination and hustle. After a solid win against McHenry County College, with 4 of the 5 starters scoring double digits, the WolfPack has struggled with shooting and turnovers. 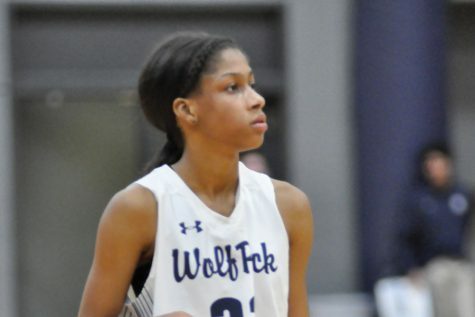 The WolfPack made it splash against McHenry, converting 9 out of 13 three-pointers. The team’s field goal percentage was a little higher than 50 percent, showing the squad’s consistency and offensive power. 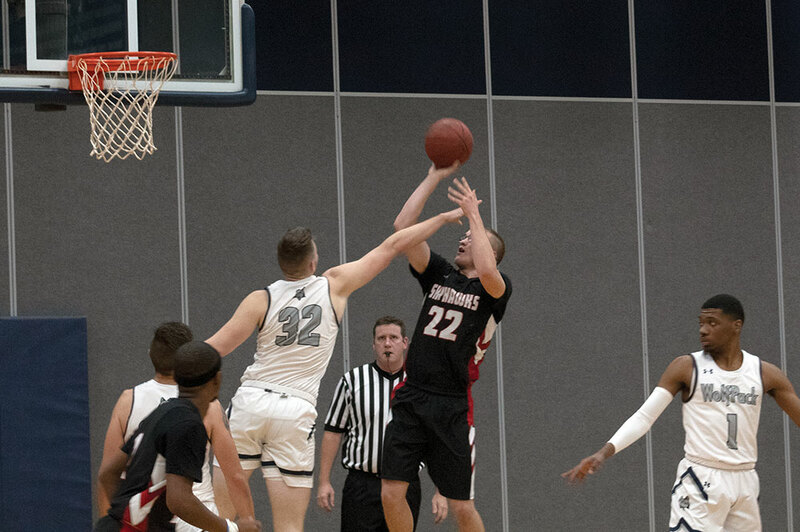 Sophomore guard Sean Suchomel, one of the team’s leaders, scored 18 points, grabbed seven boards and assisted his teammates five times, while shooting 7 of 9 of from the field. Freshman forward Adam Anhold also grabbed seven rebounds while scoring on 6 of his 11 tries and finished the game with 17 points. Sophomore guards Jalen Addison and Nathaniel Buss also contributed a lot to the team’s victory. Addison scored 16 while shooting 70 percent from the field and 2 out of 3 from downtown. Buss posed a team high six assists while also maintaining the double digits’ scoring, with 10 points, and converting 3 of 4 attemps from 3-point range. But, after this exciting start, the WolfPack has struggled to find its best form again. 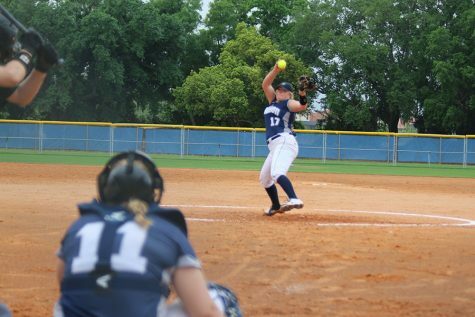 It began with a loss against Highland Community College. Shots were simply not falling for the ‘Pack. The team shot under 30 percent from the field and posted 22 turnovers. Addison and Anhold both scored 10 points, but were the only players on the squad to reach double-digits. 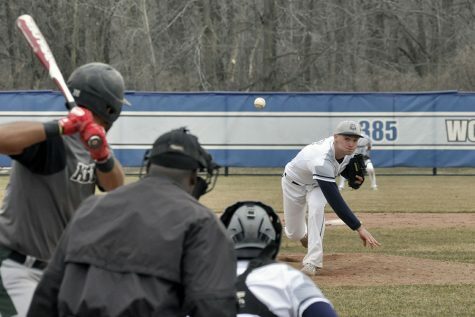 After the 1-1 start, Madison College would play its next two games at the Anoka-Ramsey Community College Tournament. It was visible that the big loss against Highland was was an outlier, because the WolfPack came back and competed. However, the two close games ended as loses for the ‘Pack. The tournament opener against Anoka-Ramsey started poorly for Madison College, with the team shooting under 30 percent from the field. As they grew into the game, the squad came back strong after halftime, scoring 56 points in the second half while shooting better than 50 percent. Even though Buss and Suchomel went off for 31 points and 18 points, respectively, Anoka-Ramsey’s persistence closed out the game. The final score was 93-86. The next game was even more heartbreaking for the ‘Pack. After trailing by 12 points on the first half, the Wolfpack would have an amazing second half, outscoring St. Cloud Technical College by 47-35, sending the game to overtime. The Pack had four players in double digits, with Addison dropping 30 points, to record a career high, converting 11 of his 18 attempts and 7 of 8 free throws. Suchomel and Anhold had 22 and 17 points, respectively. It was a collective effort, as illustrated by 8 of the 9 players getting on the score sheet. The Wolfpack was strong, but St. Cloud found a way to get the job done. When the Wolfpack came back home, a winning spirit came with them. Madison College faced Sauk Valley Community College at the Redsten Gymnasium and guaranteed a show for the supporters. After being down by 5 at halftime, the team was too much for Sauk Valley in the second half. The game ended 81-69 with the Madison College men on top. The ‘Pack was wired up, recording 17 second chance points – with DeAngelo Jones, Alex Easterday and Adam Anhold grabbing two offensive boards, each – and 15 points off turnovers. Four of the starters finished the game with double-digits scoring numbers: Jalen Addison led the team with 24 points, Anhold had 18, Buss added 16 and Suchomel scored 10. Anhold was unstoppable on the glass, grabbing 10 rebounds for a Double-double. The WolfPack’s next three games will be at home. Hopefully the winning spirit sticks around.